It's now official. The 4 sequels will be filmed at the same time starting in August. "The thing is, my focus isn’t on Avatar 2. My focus is on Avatar 2, 3, 4, and 5 equally. That’s exactly how I’m approaching it. They’ve all been developed equally. I’ve just finished the script to Avatar 5. I’m now starting the process of active prep. I’ll be working with the actors in the capture volume in August, so I’m booked in production every day between now and then. "Booked," eh? Part of me still wants to hold my horses but this sounds good. I'll believe it when I see the words "Avatar 2 has begun filming"
Well, at least JC said that the writing is done ( not almost done like it has been since 2014 :p) and that he has moved on to ramping up the volume with filming starting in August. Along with the comic book, Toruk show, and the Avatar exhibit in Asia, it looks like this Ikran is finally taking off again. HELL YEA!! Good to hear! Looking forward to some progress! any news is great at this point, 8 years later. here's hoping we start hearing regular updates and news from JC and Lightstorm/Weta. I hope it's true. I'd like to see the sequels. Well, now we know why it's going to take so long for filming to start. Avengers: Infinity War started filming a few weeks ago. Here is more information on the first sequel. 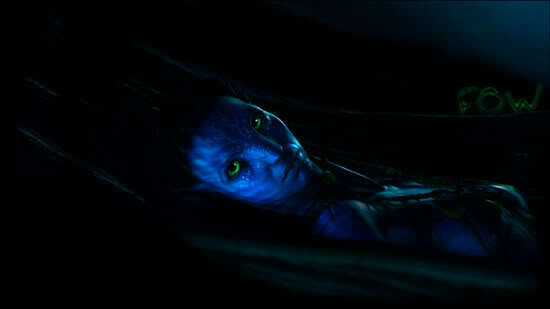 It appears that the film will take place eight years after Avatar and will show Jake having a family. Maybe that's what's the mating after the selection of the wife is for. Jake's kid is the key to all this, if we get Jake's kid working. Cause he's a funnier character than we've ever had in the movies. If we have family characters, maybe we'll have TV shows like The Sullys, The Sullysons, The Jakesons, The Avatarsons, The Na'visons or even Family Avatar Guy. You had me thinking that was a real quote for a bit there.